In between all wedding preparations honeymoon decisions seem like a resort for me – travel planning is something that I love doing and something that I have experience in doing. Wedding planning, on the other hand, is a terrain unexplored and filled with endless smaller and bigger (and painful…) decisions. And there are so many things that need to be decided on: the venue, the food, the decorations, the music etc. etc. By the time you cross one thing of the list, three others pop up instead. So yes, honeymoon planning is a true joy and a wonderful distraction. The main target for our honeymoon was an easy decision: Malaysia. As most of Daniel’s Malaysian side of the family won’t be able to attend our wedding in Germany, it will be a great opportunity for me to meet the relatives and to finally see the country. Besides, Daniel’s dad wants to organize a celebration for us in Malaysia. This makes the obvious things on our itinerary clear: spending some time in Kuala Lumpur and around Ipoh/Teluk Intan for meeting the family. As it is our honeymoon we’d like to take some time away from the family, however, so we’ve been on the lookout for a nice island getaway. And there are so many options to consider! Once one is in the region, traveling to other countries is cheap and fast so we spent a few weeks browsing information about Thailand and Vietnam (I fell in love with the idea of seeing the limestone islands of Ha Long Bay or lazing on the beaches of Phu Quoc island) but soon realized that three weeks for both Malaysia and another country is just not enough. Next time! Well ok, one more country we will include just because it’s so close and we don’t need any visas: Singapore. That left us with Malaysia which, I must admit, has a great variety of beaches and islands itself. The obvious choice would’ve been the island of Langkawi but it’s probably the most touristy beach destination in the country. After a few days of searching, we found our favorite: the island of Tioman. 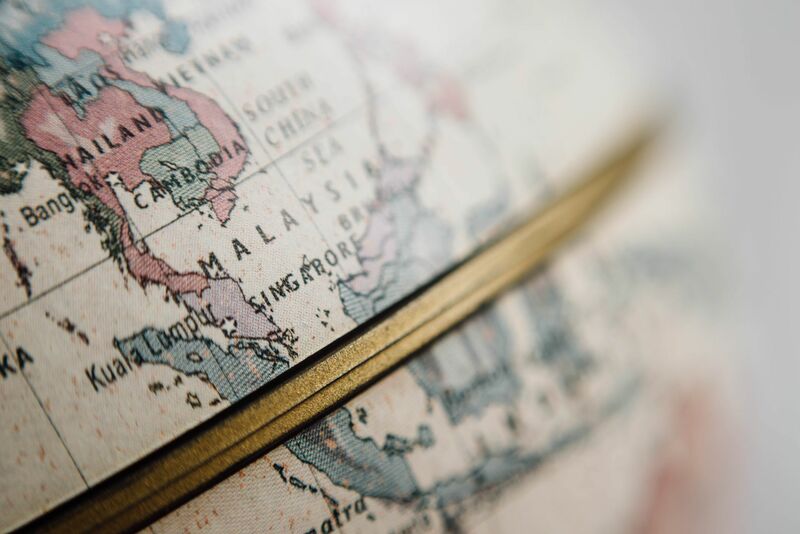 It is on the East coast of the peninsula, quite close to Singapore, and seems to encompass all that we’re looking for – from beaches to jungle treks. Next step: finding a nice place to stay. Tioman looks like a paradise place! The first thing that stroke me when I was reading about it was SCUBA DIVING! Plus “TIME Magazine selected Tioman as one of the world’s most beautiful islands.” Great choice! In Malaysia got alot island suit for diving, Tiomon, Langkawi, Redang, Sipadan….. depend to your schedule and favour to choose one of it. congratulations – and I hope you enjoy your honeymoon! Thanks! How long are you staying in Malaysia? ?